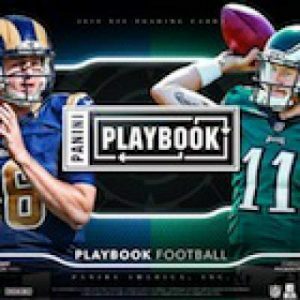 2016 Panini Playbook Football - Full Checklist	Overall rating:	0	out of 5 based on 0	reviews. 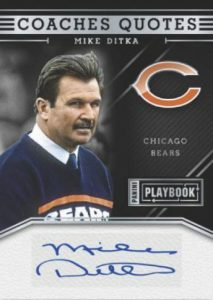 Playbook Football is back in it’s much loved format, presenting cool looking mem and autos inside booklet cards. 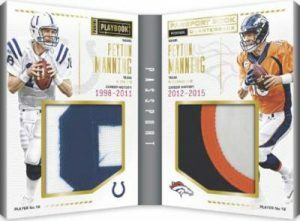 While football is still relatively new to the brand, fans of Panini’s hockey Playbook brand will recognize the format. This could prove to be a nice mid range product. 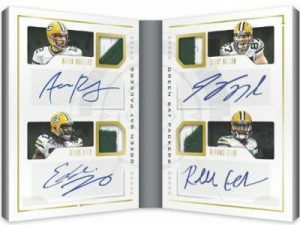 With 3 cards per box, set collectors are going to have a tough go at it, but resale value should hold nicely. Love Checklists? Then Checkout Breakninja! I have two Matt Jones booklets, both are PMA-MJ, one serial numbered /199 and one /99. 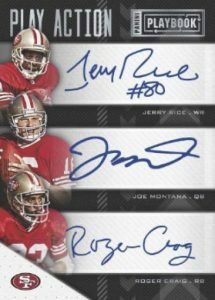 Both have one larger piece on the left side and two smaller on the right with his autograph on lower right side. 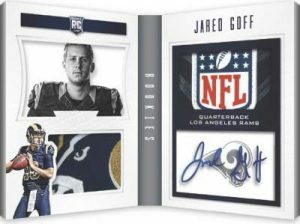 Your checklist does not show this card number…could it be the Playbook Football – Playbook Material Autos Set? Yes, as far as I can see that’s what it would be. 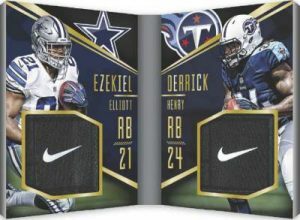 Panini has a bad habit of changing the numbering format somewhere between issuing the checklist and actually releasing the cards. It isn’t even numbered PMA-MJ on their website, but looking on ebay shows that the live version is. 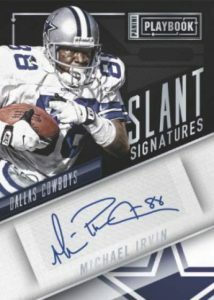 As for the /199 I checked and that is what it is, I’m not sure why my list said /149, but I made the change. Thanks for your comment. to to find things to improve my website!I assume its ok to make use of some of your ideas! !